Last week we traveled to Washington's Olympic Peninsula. It's hard to describe the otherworldliness of this place. Sweeping vistas of the Strait of Juan de Fuca. Old-growth fairy forests of towering cedar, hemlock and fir. Wild flowers, green mosses and lacy ferns. 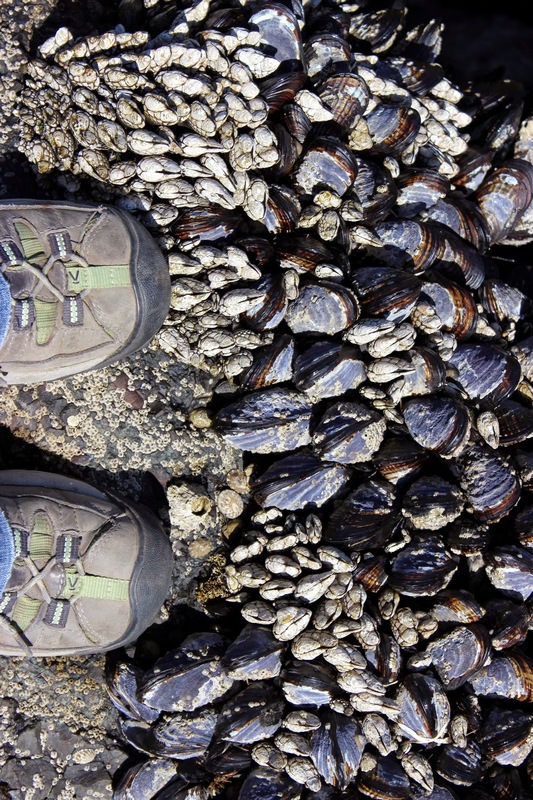 Coastal tide pools revealing miniature worlds of marine life. 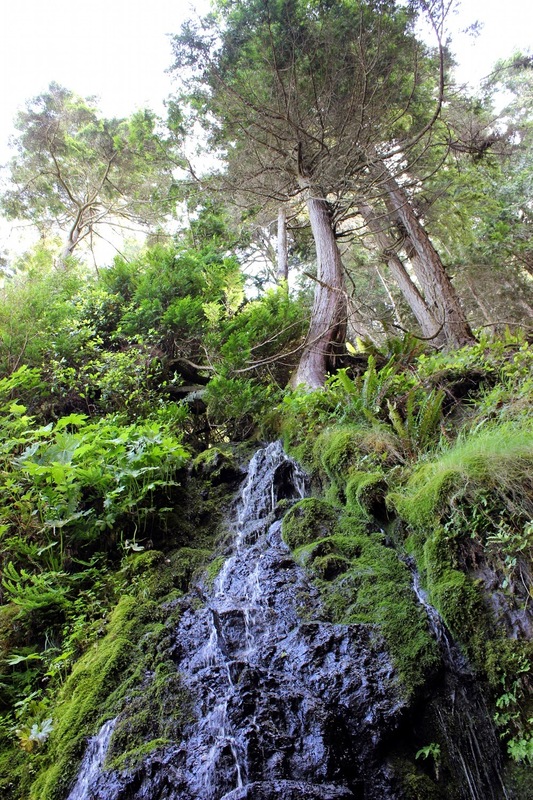 Hidden waterfalls and secret coves. Come see..
A good way to start the summer. Lately I've found a place for focus of a different kind. I'm not sure how to describe this place because defining it diminishes it somehow. I wrote a poem - more of a canto really - that describes going there. Perhaps it is a simple meditation. I don't know. Does anyone else out there do this sort of thing? Spring is busy. Longer days give me the sense that I've more time. So what if I don't get to the garden until four in the afternoon! I still have several hours of daylight to accomplish garden tasks. One regular task in my week is granola-making. My family gets grumpy if they open the fridge in the morning and find only a few crumbs of the granola batch remaining. I make granola differently each time, selecting the ingredients from what I find in the cupboard. Here's the recipe for a recent batch that we particularly enjoyed. It includes dried apricots which give a nice pop to the palate. Preheat the oven to 330 Fahrenheit (about 165 C). 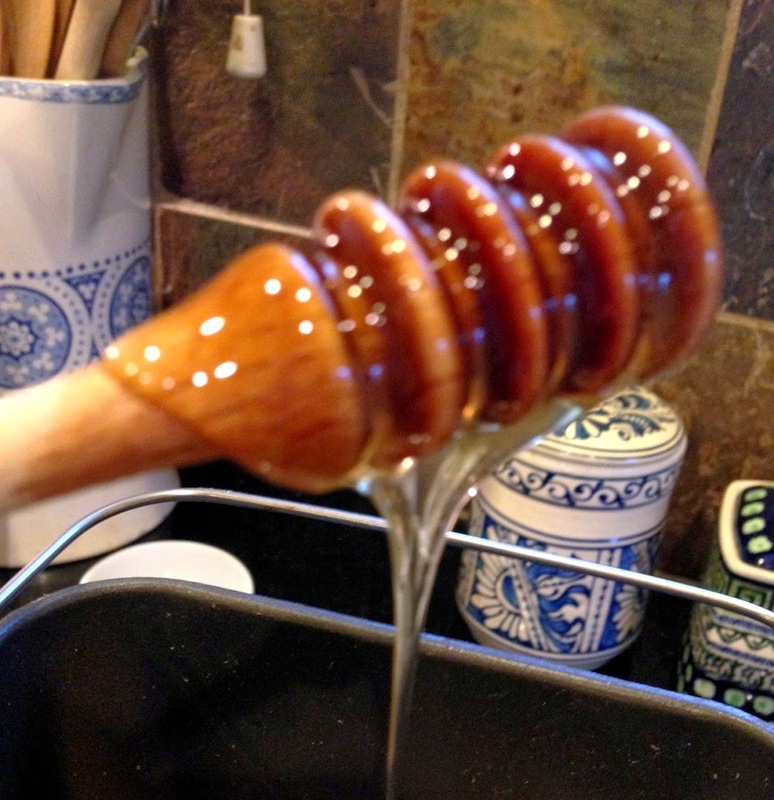 In a large baking pan, slowly heat the honey and oil on your stovetop. Your setting should be on low. Mix the oats and wheat germ into the honey and oil, stirring slowly. Once the grains have been added, put in the seeds, continuing to stir the mix. Place the baking pan into the oven, setting the timer for 7 minutes. While the first items are baking in the oven, coarsely chop the nuts. At the 7-minute bell, take out the baking pan and add the nut mixture and the coconut. Mix thoroughly. Continue to toast the mix for a total of about 35 minutes, stirring every 7-10 minutes. 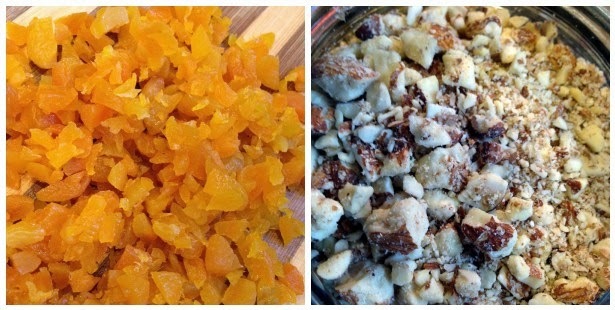 Apricots, dried cranberries, and raisins - sweet! While the grains and nuts are toasting, chop the apricots. 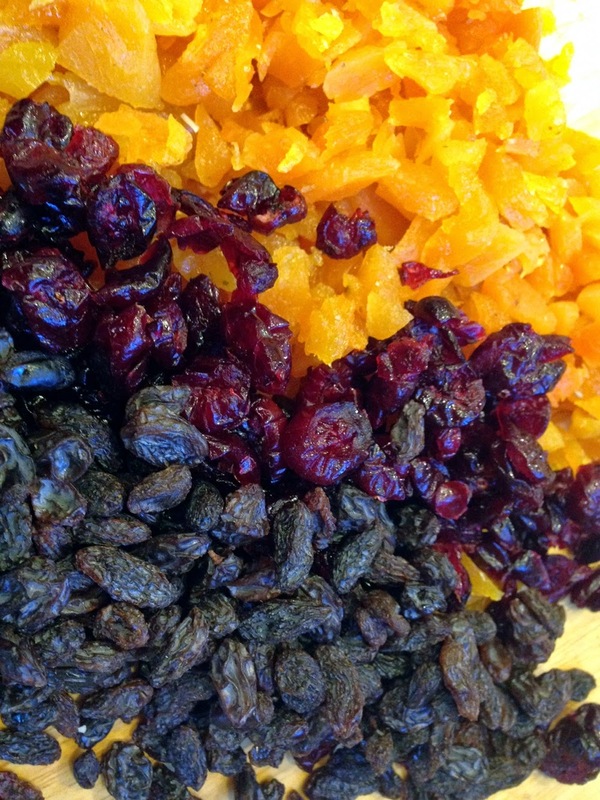 Then add the raisins and dried cranberries to the apricots. When the granola has reached that golden color, remove the pan from the oven and let cool for 5-7 minutes. 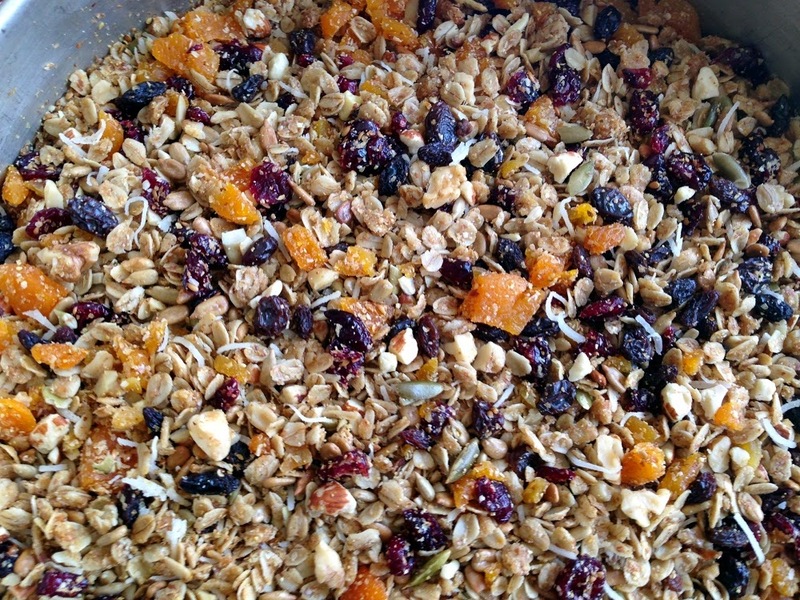 Then pour the granola into a large bowl and mix in the dried fruit. Let the mix cool. Store tightly covered in the refrigerator. If you are looking for a way to keep your family eating a healthy breakfast, try making some granola. It is delicious with yogurt and fresh berries. You can find other healthy recipes here. A good friend wrote and asked me to share something I've been working on, so I've put up a sachet I embroidered recently. My friend and I used to paint together in Romania. She is a wonderfully brave painter, and I've never forgotten her advice to me… Paint as if you have no shame. Some would disagree with this, but the notion of leaving behind inhibition during the creative process makes sense to me. Since I've moved to Seattle, I've not given myself much time for creative process. You know what moves do - all aspects of your life get packed away, jumbled up, and tumbled out when you reach your destination. It takes time to figure it all out, and it takes patience. 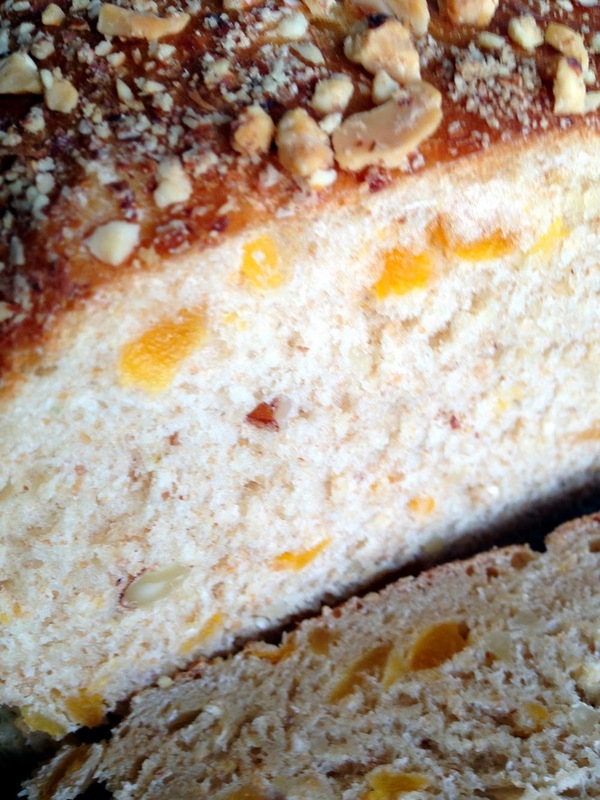 Why not apricot bread with almonds? This dough is slightly sweet, made with apple juice, honey, and apricots. Added almonds give it a nice crunch. Using your electric mixer with a paddle attachment or your bread machine, combine the ingredients except the dried apricots – keeping in mind your machine’s instructions. When your machine beeps, or when you are in between your first and second kneads, add the dried apricots. This delay keeps the apricots from getting too chopped up in the machine. Once the dough has doubled, pour it out into a floured surface, and give it a good kneading - a couple minutes. 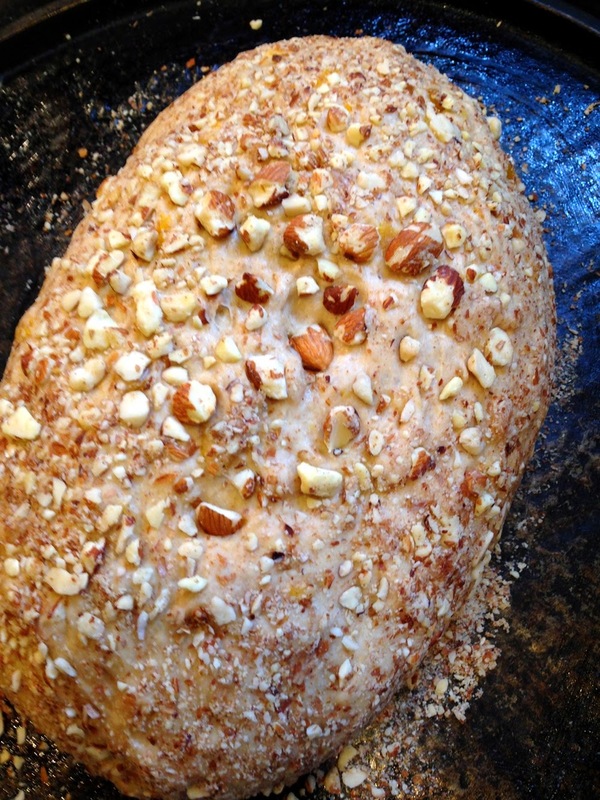 Shape your dough into an oblong form and roll it in a bed of chopped almonds. Place the almond-covered dough on your baking sheet. Bake your loaf for about 20-25 minutes in an oven preheated to 415 Fahrenheit (about 210 C). Your almond crust with be nice and toasty while the dough will be moist and chewy. Delicious! 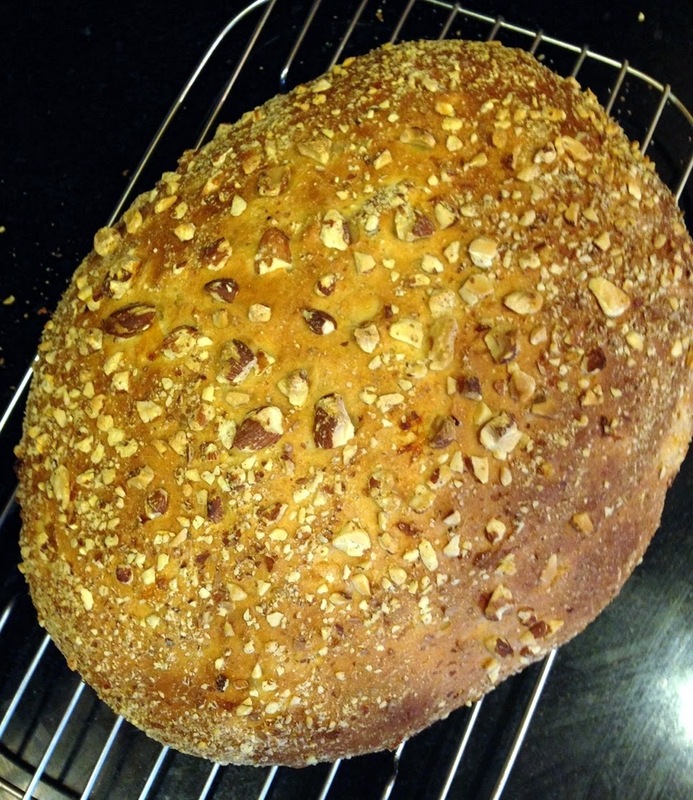 If you try one of my bread recipes, please let me know your results. Happy baking, friends!